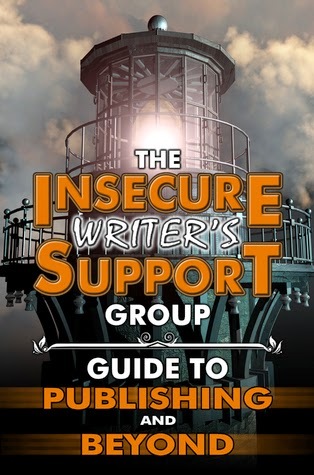 David Powers King: The Insecure Writer's Group Guide To Publishing and Beyond, Schedule and Policy, and Lots of Gratitude! 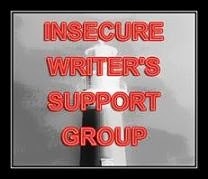 The Insecure Writer's Group Guide To Publishing and Beyond, Schedule and Policy, and Lots of Gratitude! Remember those incredible IWSG posts from a couple months back? Well, the anthology is finally here and available! Let's give a very special thanks to Lynda Young, Susan Gourley/Kelley, L. Diane Wolfe, Joylene Nowell Butler, Michelle Wallace, Joy Campbell, and (of course) Alex J. Cavanaugh for putting this thing together. If you'd like a truck load of free, valuable tips from bestselling and up-and-coming authors, click one! Now to the insecurity ... expect I don't exactly have much to go on this month. I may be too busy to be worried! Woven is coming in two months and it looks like I'll be making a big local splash all next year. Take a look at my updated schedule to see what I mean. This doesn't include what my publisher may plan for us. This should be fun! To my surprise, I was invited to review quite a few Advance Reader Copies this year. 10 to be exact. That's a new record. And while I enjoyed them, it's unlikely I will be able to do that many next year, so I included a review policy to my contact information. Time is limited and I need to write myself. But it never hurts to ask! Even with all this going on, I'm entering this month on a note of gratitude. I'm finding myself and I'm continually reminded that by some miracle (or other astrophysical anomaly), I am blessed. I've said it before; it merits repeating: I wouldn't be where I am today without the support of the writing community. You gave me a place to find my voice, and took me in when I had no clue what I was doing. In some ways I still don't. That should take care of itself. Thank you my friends, a quadrillion times over. Now with the holidays upon us, I am taking a leave of absence from the bridge. I still have some 500 blogs to visit from the promise I made last month, so I will keep that up and make my report in January. I wish you well, warm and safe. See you again in 2015. I'm David, and I'm going Into the Woods and home before dark! Take a break! I will be taking one soon. You will be busy with promotions. Just remember to enjoy the ride. You never get another first book release. And considering where you were over a year ago with Woven, you are indeed blessed now! WOVEN!!!!!! 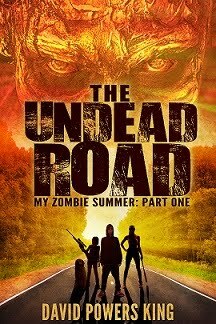 He he… it makes a little debut on my blog today… ;) I'm loving it so far, DPK… I'm going to devour this thing… love… And you definitely need to just embrace this ride for what it is… enjoy the holidays and enjoy all the wonderful reviews that are coming your way!!! You are busy! I'm so excited for your book launch. And enjoy your break...you deserve it! Enjoy your break. I did that for most of November. Also have books coming out next year as well and wish you all the best David. I definitely plan to see Into the Woods. With your book coming out in two months, you will be way too busy to be insecure. Enjoy your holidays. I can't wait for your book launch! And your schedule certainly is full. That's great! I know what you mean about having to take a step back. I beta read for a lot of individuals this year and I'm going to have to cut back on that next year. Yay! 2015 is going to be an awesome year for you!!! Two months- wow, I'll bet that's busy! Enjoy the holidays! I see you have a number of dates in Utah. I lived in SLC for 27 years! Too busy to be worried is good. Just keep getting stuff done :). And don't wear yourself out visiting all those blogs! Great on the book!!! Hope you take some down time. See you next year? I'm thinking I need to take my grandkids to see Into The Woods. And I love seeing someone getting some success David. Sounds like you will need this break. Happy holidays. I'd rather be busy than bored...what's that? I wish you a great 2015. Won't be long!! Hi David - that's great about the IWSG guide - bought already. Good luck with all the preparations for Woven - so pleased for you .. and Morgan is already enjoying it ..
Busy-ness definitely keeps the worry away. :) I love that I have the fall-back of my full-time job and worrying about work instead of my writing. Best of luck with all the prep-work for Woven! It is great to look back and realize just how many good things we've got in our life, isn't it? I'm very happy for you and my dwarves will be cheering for you next year too. Dragon Hugs! yeah, I can't imagine how busy you're about to become. hold on tight and bask today in being relaxed...sorta! good luck at all your scheduled appearances and be sure to post them on fb for us not there! So happy for you, what great news :) congrats on Woven and The Guide is amazing (adoring it to the bone) and you're going into the woods and home? hhhhhh that made my day. Whoa. 10 ARCs. That's a lot. And hey, I'm looking forward to reading Woven! 10? Wow. That is a bunch. You deserve a break. You'll need the break because next year will be crazy. Enjoy the launch! You're definitely well loved here. 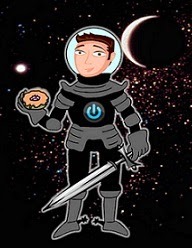 Just noticed you have over 1000 followers - wowzers! Good luck with your debut! I hope you get a little break in the interim. 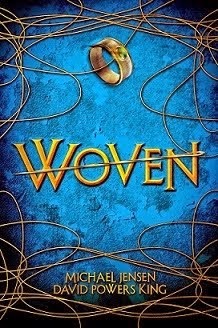 And I just finished Woven today...it's amazing!!!!!!!!!!!!!!!!!!!!!!!!!! Congrats on your book, and enjoy all the excitement! Looks like 2015 will be spectacular!